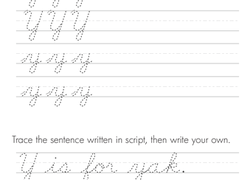 Kids practise writing capital and lowercase "Y" in cursive on this year four writing worksheet by tracing the letters, then writing their own. 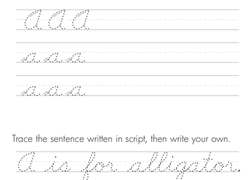 Kids practise writing capital and lowercase "Z" in cursive on this year four writing worksheet by tracing the letters, then writing their own. 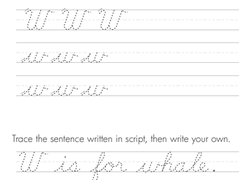 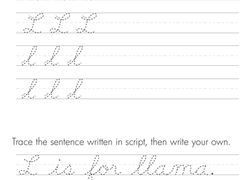 Kids practise writing capital and lowercase "L" in cursive on this year four writing worksheet by tracing the letters, then writing their own. 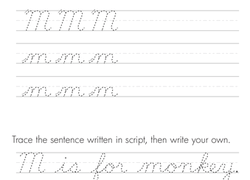 Kids practise writing capital and lowercase "M" in cursive on this year four writing worksheet by tracing the letters, then writing their own. 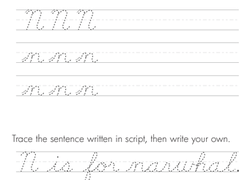 Kids practise writing capital and lowercase "N" in cursive on this year four writing worksheet by tracing the letters, then writing their own. 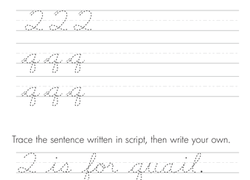 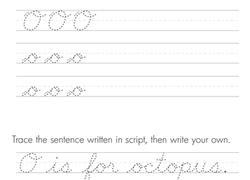 Kids practise writing capital and lowercase "O" in cursive on this year four writing worksheet by tracing the letters, then writing their own. 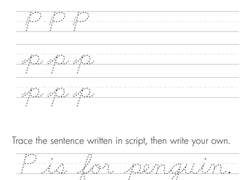 Kids practise writing capital and lowercase "P" in cursive on this year four writing worksheet by tracing the letters, then writing their own. 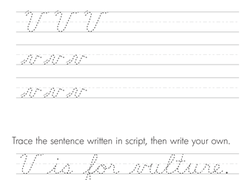 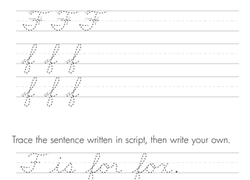 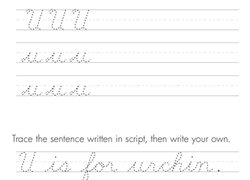 Kids practise writing capital and lowercase "F" in cursive on this year four writing worksheet by tracing the letters, then writing their own. 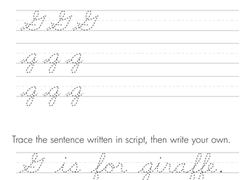 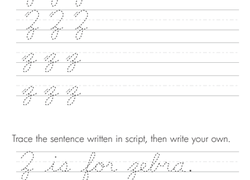 Kids practise writing capital and lowercase "G" in cursive on this year four writing worksheet by tracing the letters, then writing their own. 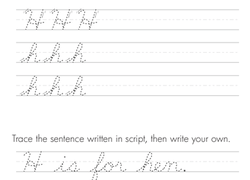 Kids practise writing capital and lowercase "H" in cursive on this year four writing worksheet by tracing the letters, then writing their own. 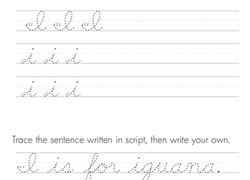 Kids practise writing capital and lowercase "I" in cursive on this year four writing worksheet by tracing the letters, then writing their own. 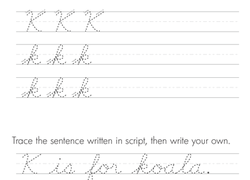 Kids practise writing capital and lowercase "K" in cursive on this year four writing worksheet by tracing the letters, then writing their own. 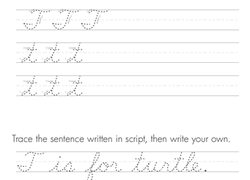 Kids practise writing capital and lowercase "T" in cursive on this year four writing worksheet by tracing the letters, then writing their own. 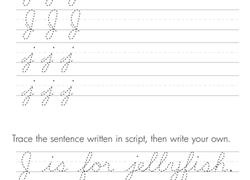 Kids practise writing capital and lowercase "J" in cursive on this year four writing worksheet by tracing the letters, then writing their own. 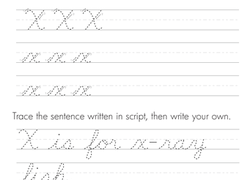 Kids practise writing capital and lowercase "X" in cursive on this year four writing worksheet by tracing the letters, then writing their own. 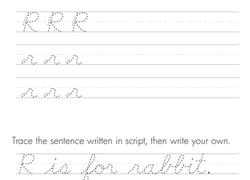 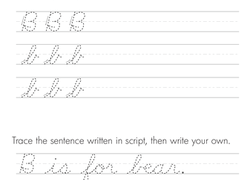 Kids practise writing capital and lowercase "B" in cursive on this year four writing worksheet by tracing the letters, then writing their own. 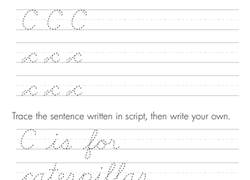 Kids practise writing capital and lowercase "C" in cursive on this year four writing worksheet by tracing the letters, then writing their own. 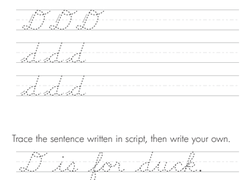 Kids practise writing capital and lowercase "D" in cursive on this year four writing worksheet by tracing the letters, then writing their own.